The Orange-footed Scrubfowl is the smallest (42-47 cm) of the three megapodes found in Australia (the others being the Maleefowl and the Australian Brush Turkey. They occur in northern parts of Australia, where they can be common. 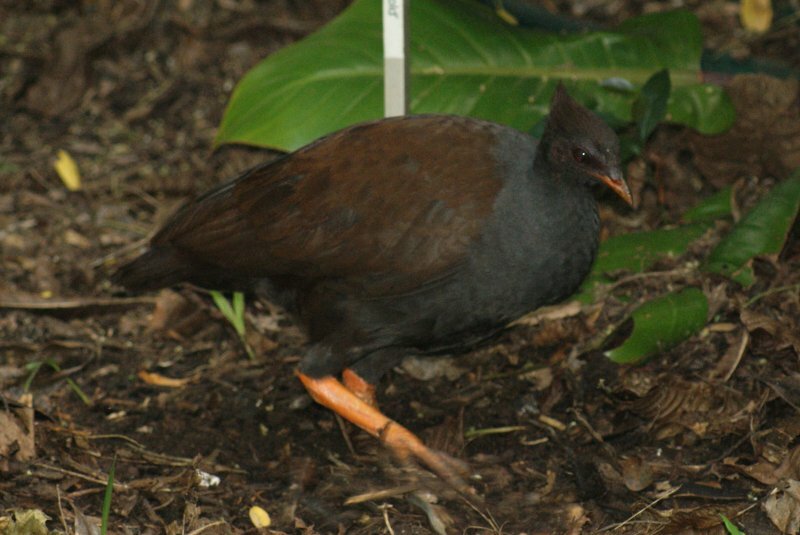 As with the other megapodes, they forage for food by scratching the ground, which plays an important part in the ecosystem by churning up the forest floor. 1: Freshwater Pond, Centenary Ponds, Cairns, Qld, 20/10/2010.